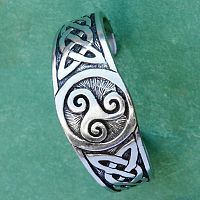 - Three is the magic number, right? And with this 3-armed triskel dominating the center of the bracelet's design, you can be sure you'll feel absolutely enchanting whenever you wear it. 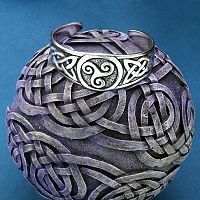 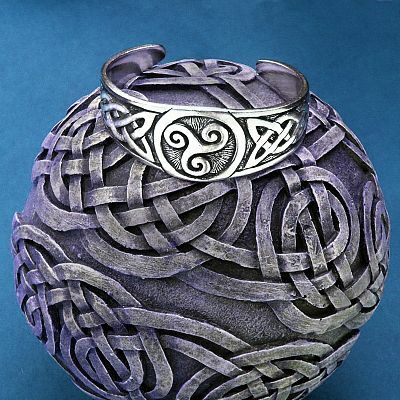 The two panels of Celtic knotwork taper gracefully as they wrap around your wrist. 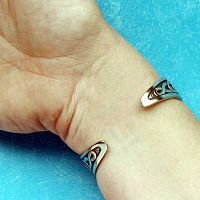 This bracelet measures 6" long overall, and is 7/8" wide at the center point. 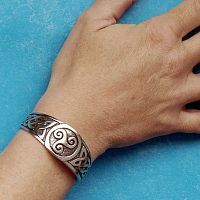 Do you have any other questions about our Celtic Triskel Pewter Bracelet?